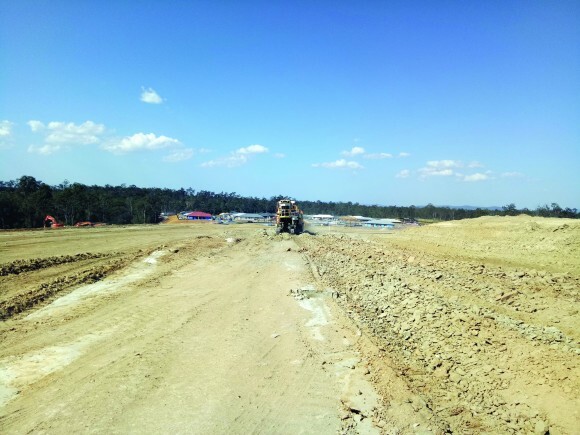 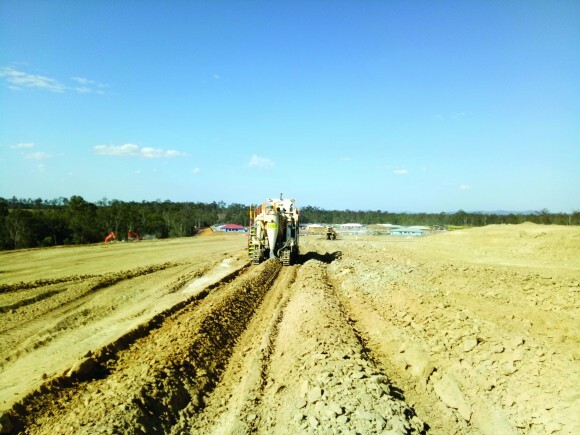 Flagstone Estate is a new community well under construction 35km’s South West of Brisbane. Site conditions in this area are difficult to undertake construction work in, due to the hilly nature of the land and the sandstone material. The Flagstone site required a cut to fill solution to level out proposed roads and housing blocks. 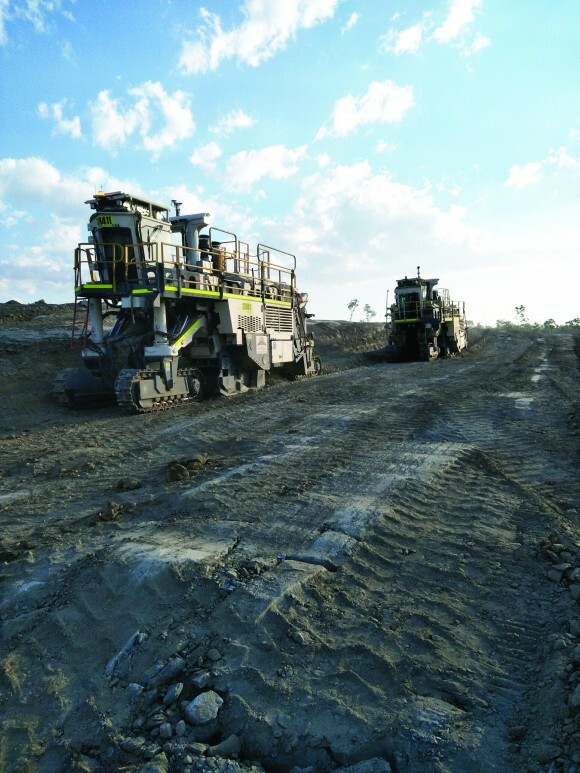 GCM proposed on utilising 2 x 2500 Wirtgen surface miners to undertake the work fitted with GPS to ensure all earthworks were done to design, which on this site was fairly detailed due to the difficult levels. 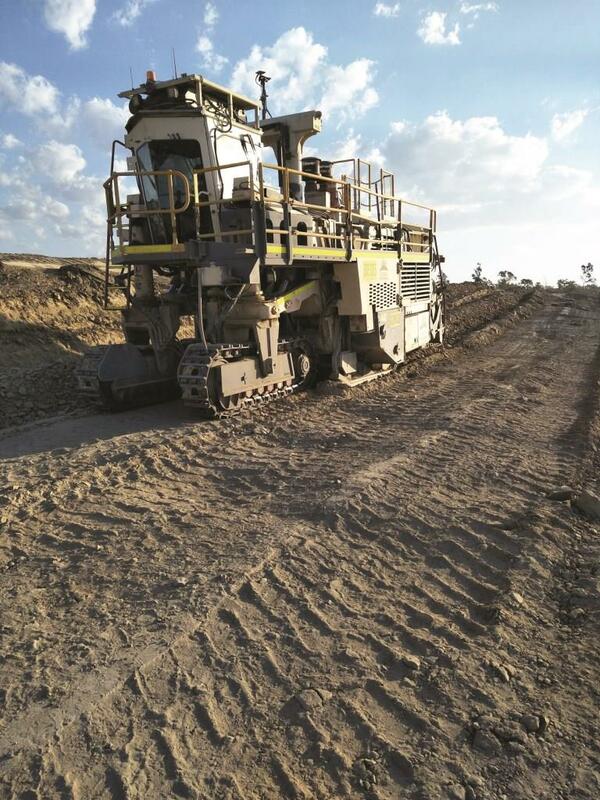 The main feature of utilising surface miners was the milled material would be suitable to meet the engineer’s specification for use straight back in as fill (on average 75mm minus), with the additional benefit of being able to work in close proximity of residential areas. 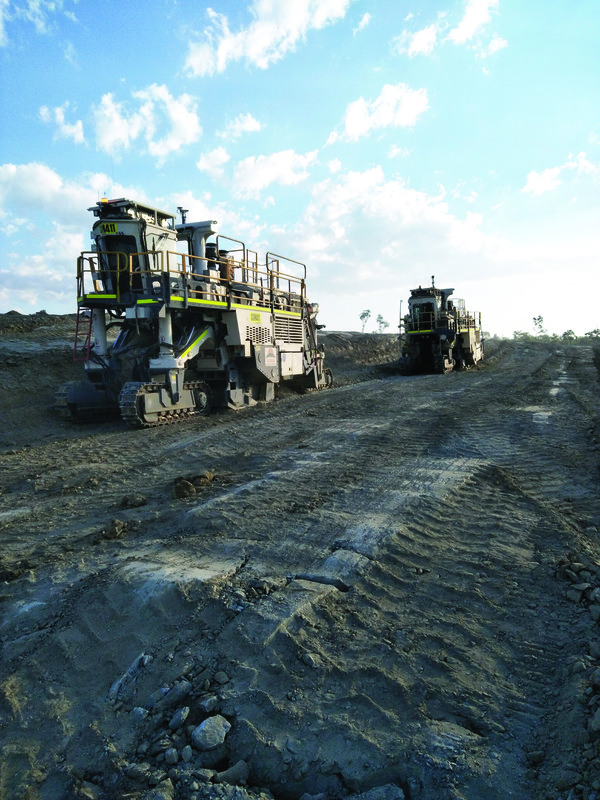 GCM worked closely with the client Allroads in working out best methodology for the earthworks. 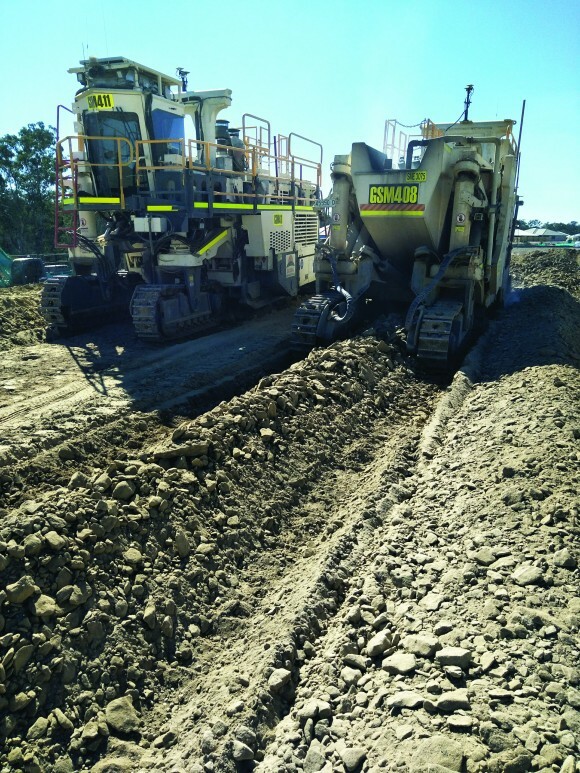 In this case it required GSM to work very closely alongside a fleet of scrapers which picked up and placed the material ready for compaction.